This form must be completed electronically when possible. Handwritten forms will be accepted. does not display a currently valid OMB control number. PLEASE DO NOT RETURN YOUR COMPLETED FORM TO THE ABOVE ADDRESS. 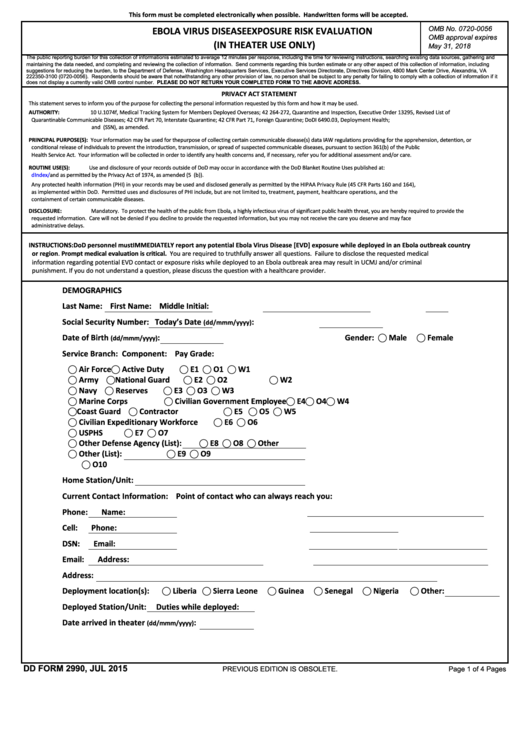 This statement serves to inform you of the purpose for collecting the personal information requested by this form and how it may be used. and E.O. 9397 (SSN), as amended. Health Service Act. Your information will be collected in order to identify any health concerns and, if necessary, refer you for additional assessment and/or care. and as permitted by the Privacy Act of 1974, as amended (5 U.S.C. 552a(b)). containment of certain communicable diseases. punishment. If you do not understand a question, please discuss the question with a healthcare provider.